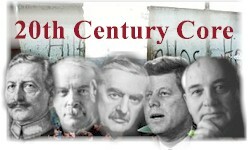 IGCSE History is a two year course in 20th century world history for students in Year 10 and Year 11 (14-16 years old). There are two discrete content sections to the syllabus. The 'Core Study' is an outline of 20th century international relations from the First World War (1914-18) to the collapse of the Soviet Union (1991). The 'Depth Study' is a detailed analysis of Germany 1918-45. Assessment is a mixture of terminal examination at the end of the course and two coursework assignments completed in terms three and four. Download a printable version of the syllabus followed at the IST. Download a PDF file of the full IGCSE History syllabus from the Cambridge examination board.